On August 25, an auspicious day for wealth and abundance, AstroVed will be sponsoring one-of-a-kind elaborate Poojas and Fire Prayers for Vishnu’s Vamana Avatar, following a century-old Kerala tradition. 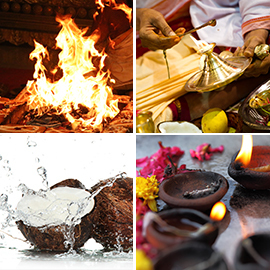 According to the traditional practice, it is believed that these Poojas and Fire Prayers can help you overcome financial challenges and receive the gift of 8 types of wealth blessings. The special day of Onam celebrates the 5th incarnation of Lord Vishnu as Vamana (Dwarf), who incarnated on this earth plane to destroy the demon King Mahabali’s arrogance. Mahabali represents ego, maya, and over-indulgence in material desires. After crushing Mahabali’s pride, Vamana forgave and blessed him. It is believed that as a result of the boon, Mahabali visits his country every year and the grand welcoming day is celebrated as Onam. The special day of Onam celebrates the 5th incarnation of Lord Vishnu as Vamana (Dwarf), who incarnated on this earth plane to destroy the demon King Mahabali’s arrogance. Mahabali represents ego, maya and over-indulgence in material desires. AstroVed is sponsoring one-of-a-kind elaborate ceremonies for Vishnu’s Vamana Avatar, following a century-old Kerala tradition. Participate in essential Onam special rituals to invoke the blessings of Vishnu as Vamana. Please Note: Your product and prasad will be shipped from Chennai, Tamil Nadu, after the entire set of rituals are performed. For international shipping, please allow 2 – 4 weeks for delivery. The special day of Onam celebrates the 5th incarnation of Lord Vishnu as Vamana (Dwarf), who incarnated on this earth plane to destroy the demon King Mahabali’s arrogance. The day is also considered highly auspicious to absolve your sins and liberate yourself from the cycle of birth and death. AstroVed is sponsoring one-of-a-kind elaborate ceremonies for Vishnu’s Vamana Avatar, following a century-old Kerala tradition. Participate in enhanced Onam special rituals to invoke the blessings of Vishnu as Vamana. According to scriptures, on Onam, Vamana instilled in Mahabali the truth of self-realization and worldly desires are short-lived. Mahabali represents ego, maya and over-indulgence in material desires. After crushing Mahabali’s pride, Vamana forgave and blessed him. 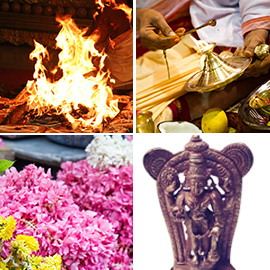 Participate in elite Onam special rituals to invoke the blessings of Vishnu as Vamana. According to scriptures, on Onam, Vamana instilled in Mahabali the truth of self-realization and worldly desires are short-lived. Mahabali represents ego, maya and over-indulgence in material desires. After crushing Mahabali’s pride, Vamana forgave and blessed him. 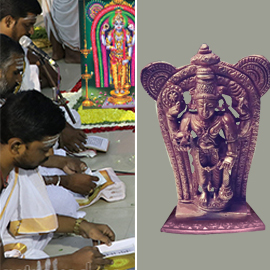 Participate in elite plus Onam special rituals to invoke the blessings of Vishnu as Vamana. Slots will be given on Ekadasi (11th Waxing Moon) and Shravana star days at the temple. Book your slot for an individual Narayaneeyam chanting performed at Lord Krishna’s Powerspot in Kerala. The sacred hymn which is a condensed version of the great Srimad Bhagavatam is composed by ardent devotee named Meppattur Narayana Bhattathiri. It is a tradition in Kerala (Southernmost state in India) to chant this divine hymn to receive the 25 kinds of blessings from Lord Vishnu in the form of Guruvayurappan. Participate in the individual chanting service at Powerspot and share the blessings with your family and loved ones. You will receive the energized product and kum-kum (Red Vermillion Powder), which will be blessed in the rituals. Keep this on your meditation altar and wear it on your forehead during meditation or at other times to expand the Divine blessings into your life. 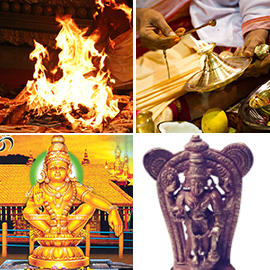 Book your individual Vamana Homa followed by Bhoo Suktam and Bhagya Suktam chanting on Onam. 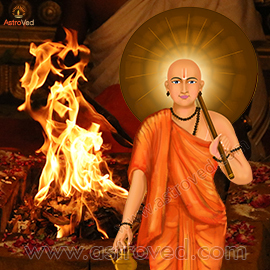 According to sacred texts, participating in this homa (Fire Prayer) invoking Lord Vishnu in the form of Vamana can help you get rid of ego, maya, excessive material desires and bless you with happiness, inner peace and 8 kinds of wealth. 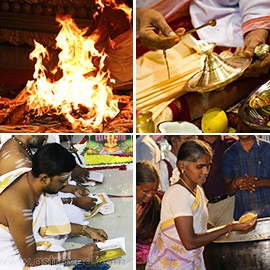 As per the Vedas, chanting the sacred Vedic hymns, Bhoo Suktam and Bhagya Suktam during the Homa (Fire Prayer) can solve land & property related issues, long-pending litigation related to real estate, issues related to property inheritance and confer blessings for wealth, prosperity, success and good luck. Book your individual Pana Para on the special day of Onam. 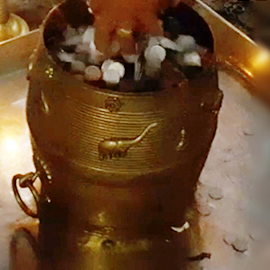 In this unique Kerala Pooja, para (measuring vessel) is filled with coins, a true symbol of abundance and the prayers are submitted to Lord Vishnu. According to the traditional belief, offering Panam Para to Lord Vishnu can bless you with everlasting health, wealth and food grains. Please Note: No Prasad for this service will be shipped from Kerala. 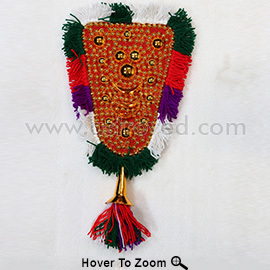 Caparison is a decorative piece of elephant’s trunk, which has great spiritual significance. Designed as prescribed in sacred texts, Nettipattam signifies unification of all Gods and Goddesses. Having this sacred product in your space, can help get rid of negativity, alleviate nightmares and grant prosperity. You will receive the energized product, which will be blessed in the rituals. Keep this on your meditation altar during meditation or at other times to expand the Divine blessings into your life. Guruvayurappan is a form of Lord Vishnu, who can bestow you with longevity, good health and everlasting happiness. 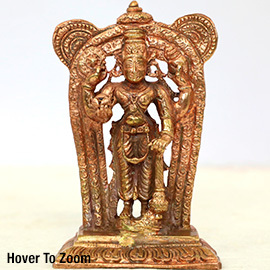 Having this energized Guruvayurappan statue in your space, can help receive the graceful blessings of the Lord. 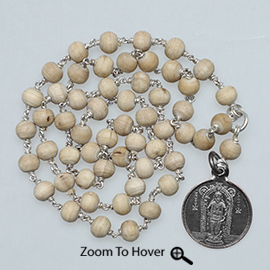 Special Tulsi mala made of 54 beads with silver string and Guruvayurappan pendant will be energized in the Onam special Poojas.